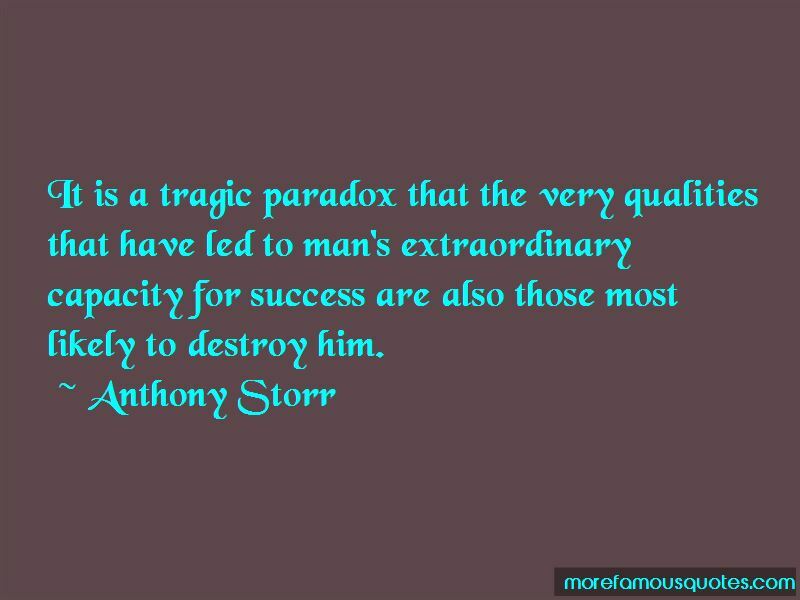 Enjoy the top 35 famous quotes, sayings and quotations by Anthony Storr. It is widely believed that interpersonal relationships of an intimate kind are the chief, if not the only, source of human happiness. Yet the lives of creative individuals often seem to run counter to this assumption. 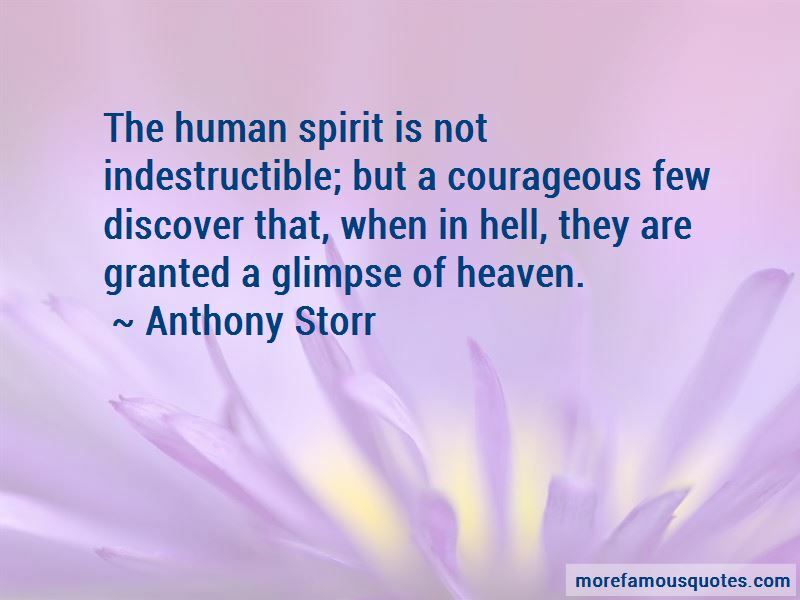 The human spirit is not indestructible; but a courageous few discover that, when in hell, they are granted a glimpse of heaven. In a culture in which interpersonal relationships are generally considered to provide the answer to every form of distress, it is sometimes difficult to persuade well-meaning helpers that solitude can be as therapeutic as emotional support. The creative person is constantly seeking to discover himself, to remodel his own identity, and to find meaning in the universe through what he creates. He finds this a valuable integrating process which, like meditation or prayer, has little to do with other people, but which has its own separate validity. His most significant moments are those in which he attains some new insight, or makes some new discovery; and these moments are chiefly, if not invariably, those in which he is alone. The sane are madder than we think, the mad saner. a setting in which each partner, while acknowledging the need of the other, feels free to be what he or she by nature is: a relationship in which instinct as well as intellect can find expression; in which giving and taking are equal; in which each accepts the other, and I confronts Thou. Part of what we admire about a painting or a piece of music is the order which the artist has imposed upon what would otherwise have appeared disconnected or chaotic. All the world loves a lover, and a lover loves all the world. 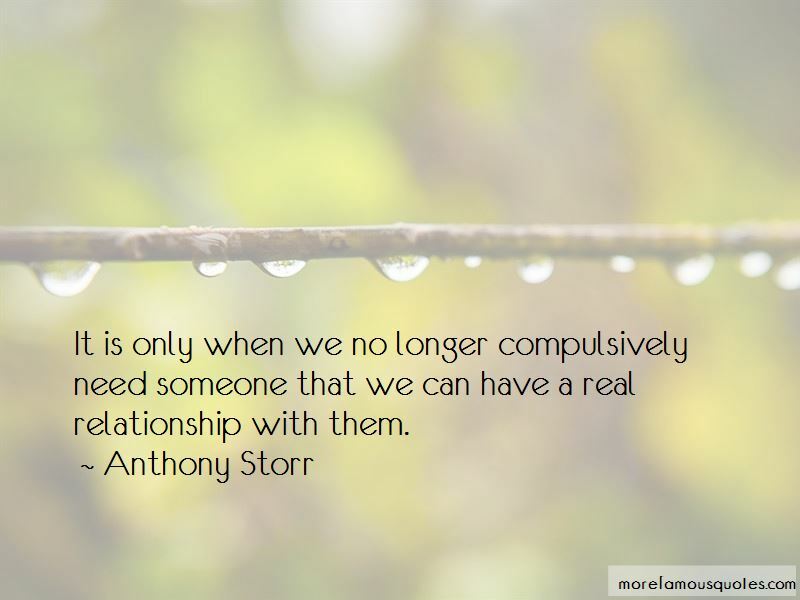 Want to see more pictures of Anthony Storr quotes? 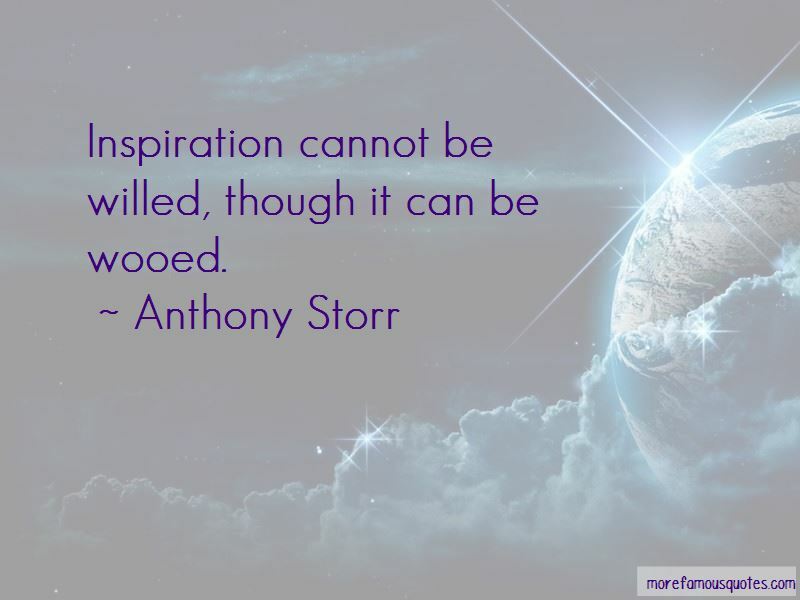 Click on image of Anthony Storr quotes to view full size.